First we’ll look around the East River, Brooklyn Navy Yard. 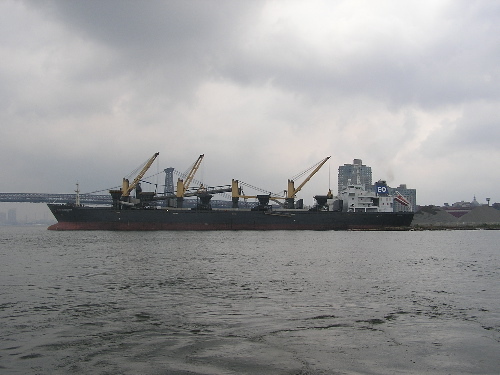 Alice Oldendorff, a bulk carrier, is a regular there. 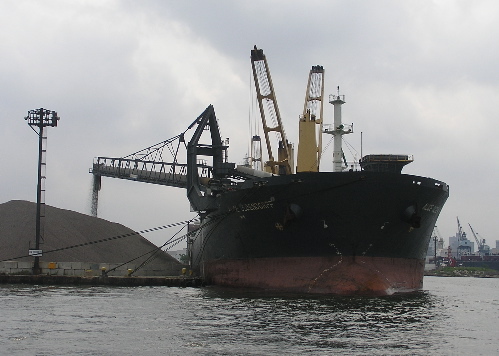 She hauls such bulk materials as ore and gravel. 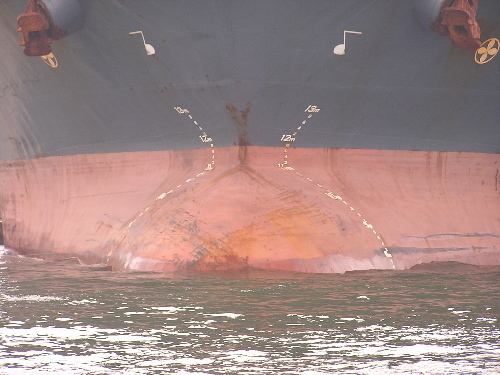 Notice the bulbous bow and the draft markings. This self-unloading system allows off-loading of up to 1500 tons per hour to a distance of 210 feet from the ship. She was built in 2000 and is over 600 feet long. I love the “sixth borough” idea — so much life on the water!